As a blazing fire turns firewood to ashes, O Arjuna, so does the fire of knowledge burn to ashes all reactions to material activities. 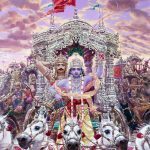 4.37 The fire of knowledge concerning the real nature of the self reduces to ashes the collection of endless Karmas accumulated from beginningless times, just as a well-kindled fire reduces to ashes a bundle of firewood. 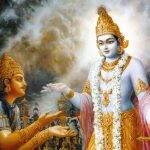 To remove any doubt or misconceptions that might arise from the previous verse that sins may be crossed over but not absolved Lord Krishna gives the illustration that fire of spiritual knowledge as revealed in the Vedic scriptures burns to ashes all karmas or reactions to actions, with the exception of the prarabdha karma which was the karma by which one received their physical body. Sri Madhvacharya did not comment on this sloka. One might wonder that just as crossing the ocean by boat does not destroy the ocean how is it that the boat of spiritual knowledge can destroy all one’s sins. 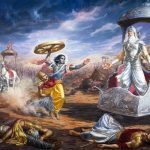 Lord Krishna states here that the boat of spiritual knowledge will destroy all reactions to actions both those leading to merit and those leading to demerit. 4.36-37 Api cet etc. Yatha etc. 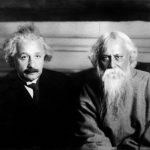 The idea is this : One should exert is such a way so that the fire of knowledge remains well fuelled with the knot of firmness of conviction born of practice. 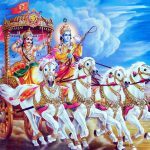 yathā — just as; edhāḿsi — ﬁrewood; samiddhaḥ — blazing; agniḥ — ﬁre; bhasma-sāt — ashes; kurute — turns; arjuna — O Arjuna; jñāna-agniḥ — the ﬁre of knowledge; sarva-karmāṇi — all reactions to material activities; bhasma-sāt — to ashes; kurute — it turns; tathā — similarly.